Are the 30-pin port's days numbered? 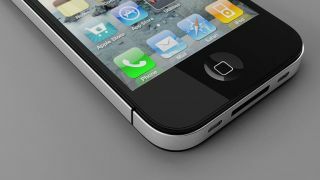 A number of Apple manufacturers have apparently confirmed that the iPhone 5 will sport a smaller connector port. TechCrunch reports that the sixth generation of iPhone will come with a 19-pin connector on its base, with Apple ditching the iconic 30-pin port which has graced previous iPhones, iPads and iPods. Three independent manufacturers have reportedly confirmed the new, smaller size, which is similar in size to a Thunderbolt port. This falls in line with previous rumours we've heard, including a video claiming to show off the iPhone 5 chassis – complete with a smaller hole in the base for the new 19-pin connector. If Apple is to move to the 19-pin solution, the decision is understandable, as the Cupertino-based firm looks to create smaller, lighter and more aesthetically desirable handsets – however it puts a massive spanner in the works for current iAccessories. It would mean third-party manufactures would need to re-imagine their ranges to accommodate the new connector; however we wouldn't be surprised if an adaptor was made available allowing backwards compatibility. Are you happy that Apple could be forging ahead with a new connector, or are you furious that your favourite speaker dock may not be compatible with the iPhone 5? Let us know your thoughts in the comment box below.